Battery repair company Batteries Plus Bulb along with Kelton Research have conducted a survey on American smartphone users and their smartphone batteries. Their findings showed that of the 39% who said their smartphones were broken, a massive 56% blamed battery life as the major issue with their smartphone. The survey also found that 90% of those surveyed have a tech device with a battery that drains too fast, with smartphones being the most common device with battery problems. The solution to tech device battery problems is simple - replace the battery at a repair store. However the survey found that a whopping 61.4% of iPhone users had no idea that an iPhone battery replacement was possible at all. Survey finds that over 60% of iPhone users didn't know the battery could be replaced. In terms of repair, an iPhone battery replacement is relatively easy for technicians, with the price of the new battery being the most costly expense. Apart from the cost of the battery however, iPhone battery replacement can be quite cheap at repair stores. This could mean that many iPhone users have been paying to replace their iPhones once the battery problem gets severe, rather than simply paying to get the faulty battery replaced. 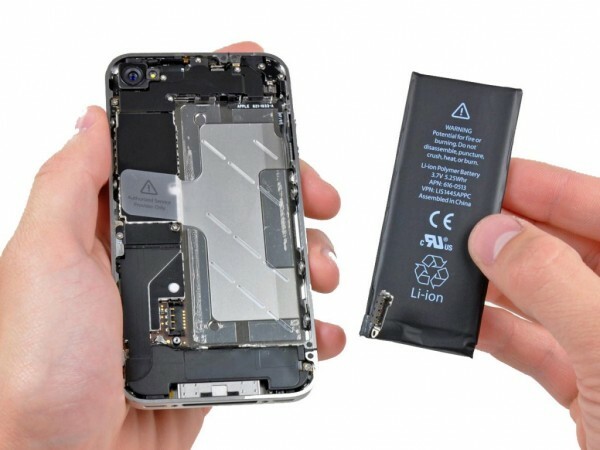 At Fixspot, we offer competitively low prices on all iPhone battery replacement. Defective batteries are a common problem with iPhones, and replacing the battery is much easier and cheaper than paying for an entirely new iPhone. We offer iPhone battery replacement for all models of iPhones. To see our prices for iPhone battery replacement, please select under our Pricing Menu the store closest to you. Then select which iPhone you need to obtain a battery replacement for. If you have any questions at all about our iPhone battery replacement service, please do not hesitate to contact us. For our Melbourne branch, please visit our Melbourne contact page.